Join the Xia-Xia characters as they take over the seas with their colourful shells and silly appearance. 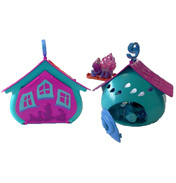 These little guys are based on actual, real-life Hermit Crabs! Kids love these friendly creatures; an estimated 10m are sold per year worldwide! So, instead of the mess why not choose these adorable creatures! Start your collection with a Xia-Xia Character, who comes with a shell and special friend that site on his back for the ride! You can change your new friends shell just like a real Hermit Crab does in the wild! 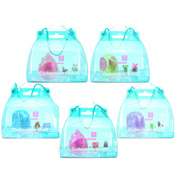 Take a look at the Xia-Xia Shell range and see which one takes your fancy! When you have build up a range why not get one of the playsets for your little guys to run around on! 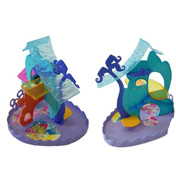 The Rio De Trio Village Playset is a fun play area where your Xia-Xia friends can run around on three different areas. Watch as they zoom around creating chaos! You could even get them a little home called the Confetti Cottage, this even doubles up as a storage case so you can carry your collection wherever you go!